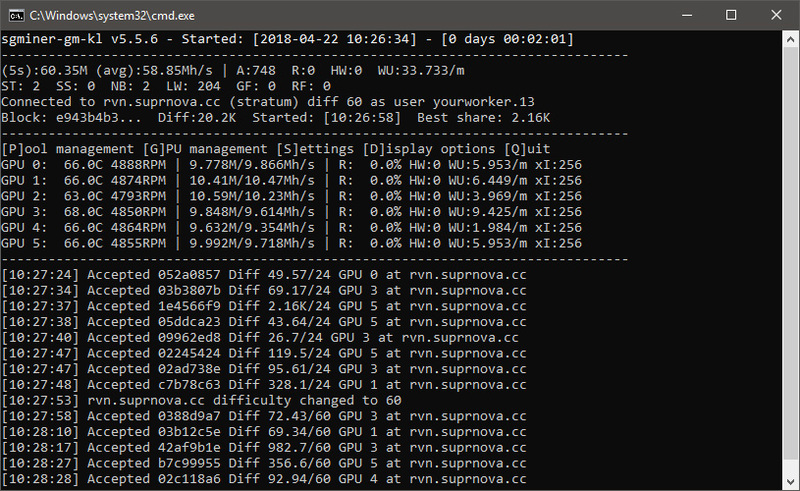 Things are moving for the X16R algorithm used by Ravencoin (RVN) as well in terms of more and better miners for AMD GPUs as well as there are already quite a few options available for NVidia miners. 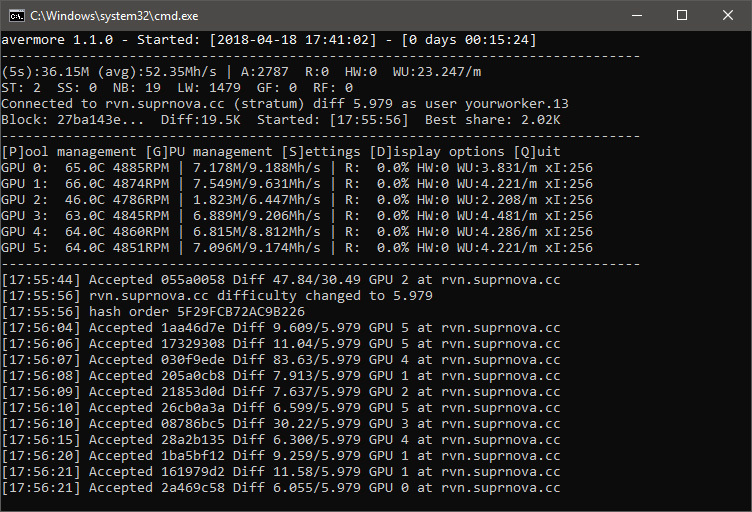 There is now a new faster sgminer fork from KL0nLutiy (source) that is based on the recently released Avermore miner that promises 4-6% or even a bit more performance. The optimizations seems to be result from adding some optimized kernels from Wolf and they do seem to boost performance well, so if mining X16R on AMD definitely worth trying this miner. There is already an official Windows binary available with 1% developer fee with Linux binary expected to be made available soon, though you can compile from source as well. Avermore is a new sgminer fork intended for AMD GPU miners mining the X16r or X16S algorithms used by Ravencoin (RVN) and Pigeoncoin (PGN) respectively (source). The miner is from the same developer of the NeverMore miner for Nvidia GPUs for these two algorithms. 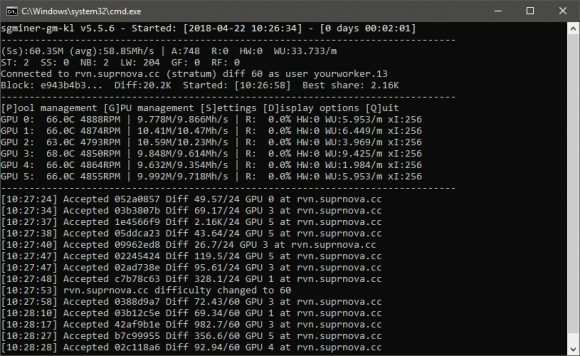 The miner is open source and could be the fastest one for AMD GPUs for X16r and X16s for the moment (the latest version also adds limited support for the Xevan algorithm). There are Windows and Linux binaries also officially available though they apparently comes with a 1% developer fee built-in to support the further development of the miner. 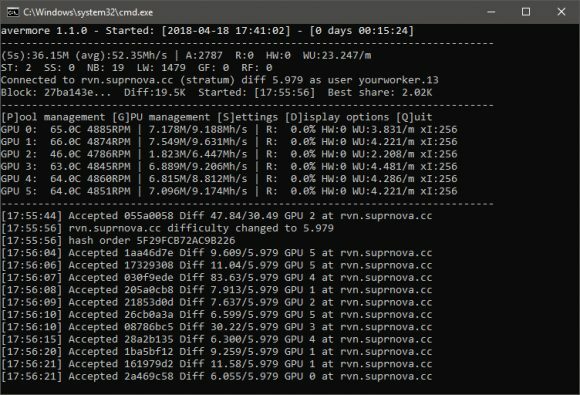 So if you are interested in mining Ravencoin (RVN) X16r or Pigeoncoin (PGN) X16s on AMD GPU mining rigs, then you might want to give this new miner a try.